Just before the Dutch national elections the streets are filled with smiling politicians trying to win the sympathy of the voter. This inspired Icon Network to start a guerilla campaign for paint brand Flexa (Akzo Nobel). 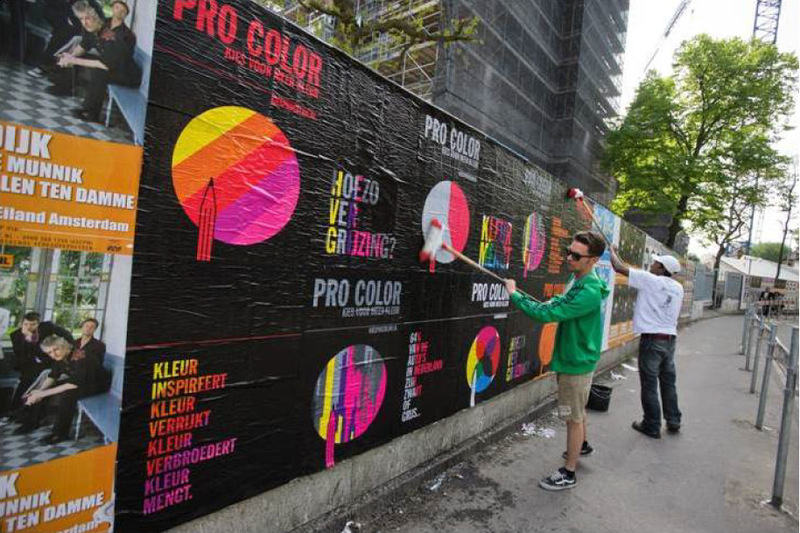 As if Pro Color is a real political party it asks the consumer to ‘choose for more colour’. 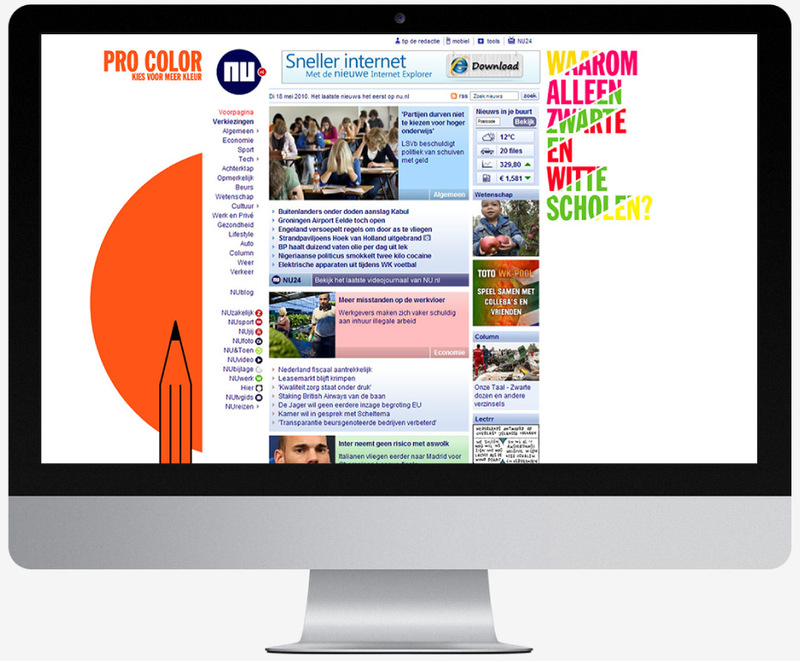 The posters are easily interpreted as a vote against the right wing party Partij voor de Vrijheid (Party For Freedom) that is dominating much apects of the social discussion.The posters are not branded, but once you visit the website "choose pro color" you find out Flexa wants you to sign a petition for more colour in the Netherlands. The campaign was perceived as brave from Flexa to embrace this non traditional way of advertising, with a very distinctive tone of voice, for such a traditional product.